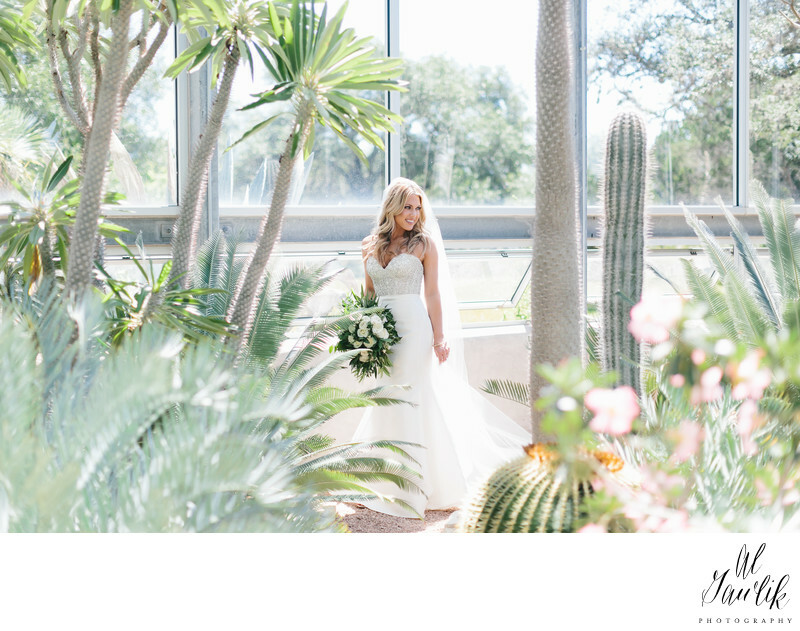 A Bride, pictured in the Greenhouse at Driftwood, is wrapped in soft light and surrounded by the natural sculpture of the living plants. The softness of the foreground and the background highlight the striking beauty of this lovely Bride, captured in a split second that will now live forever. Timeless and classic.